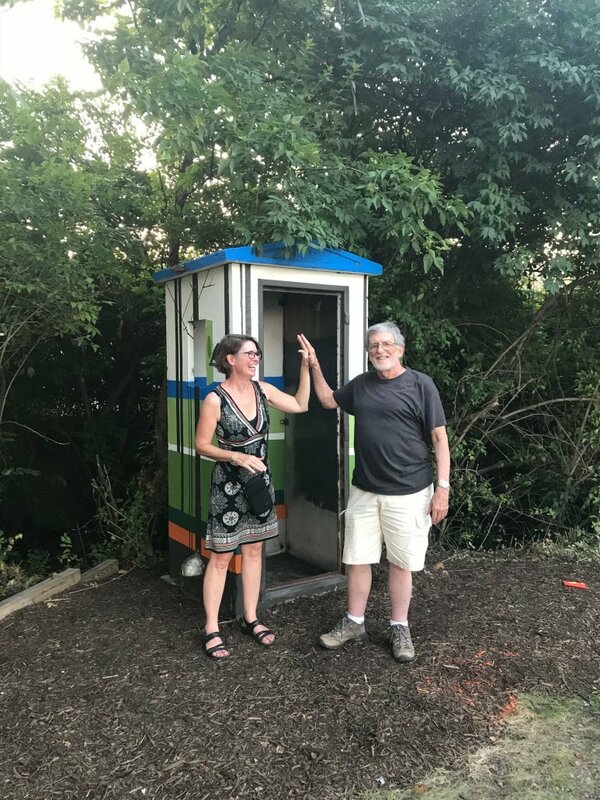 The Conductor’s Phone Booth is a touch of railroad history tucked away on the Monon Trail in Nora. Back when the trains used to run (way before cell phones!) 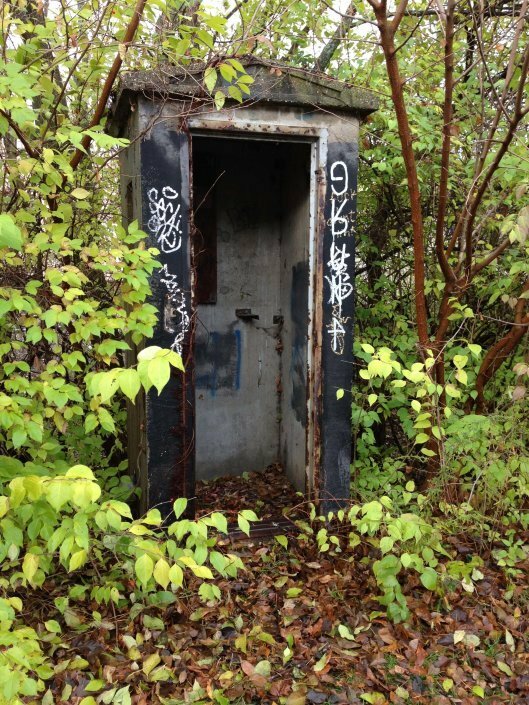 they used to stop here and call ahead to let the next station know they were on their way. 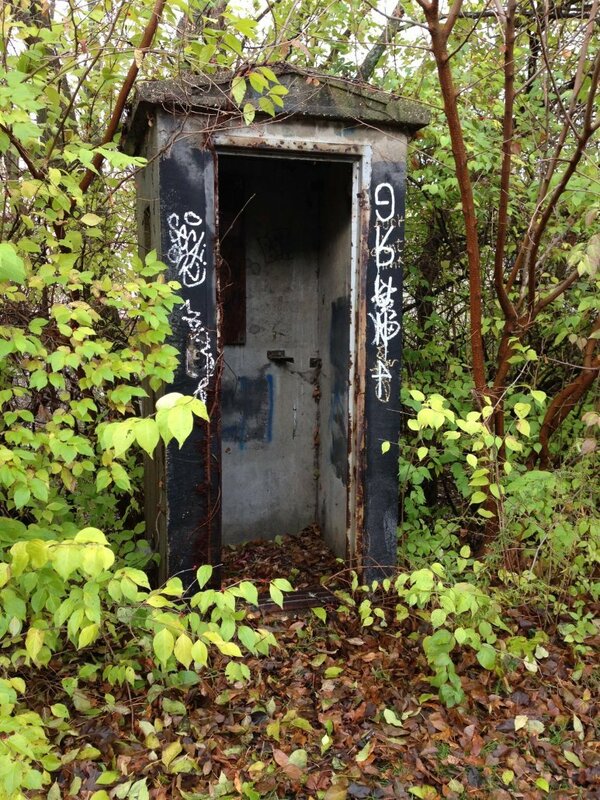 The trains are gone, but this well-built concrete phone booth remains. 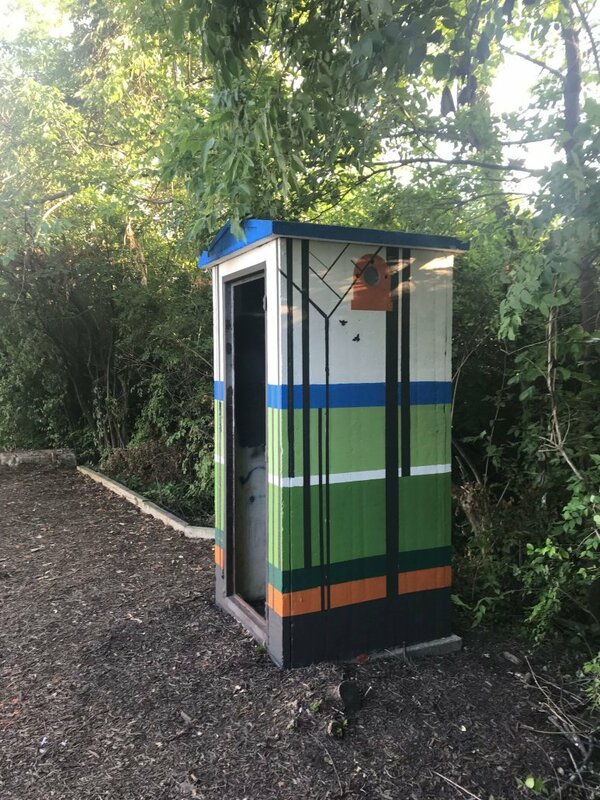 It was manufactured by Permacrete – the company that made many of the telephone booths for railroads. 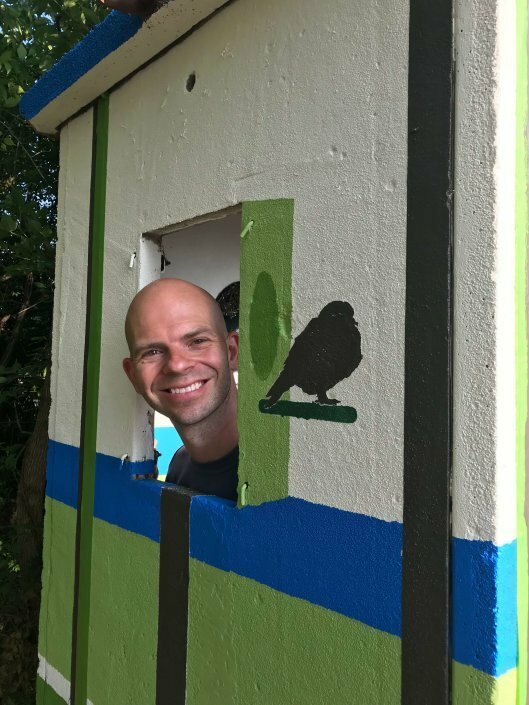 Today, thanks to many volunteer hours, the phone booth sports a nature-inspired mural. 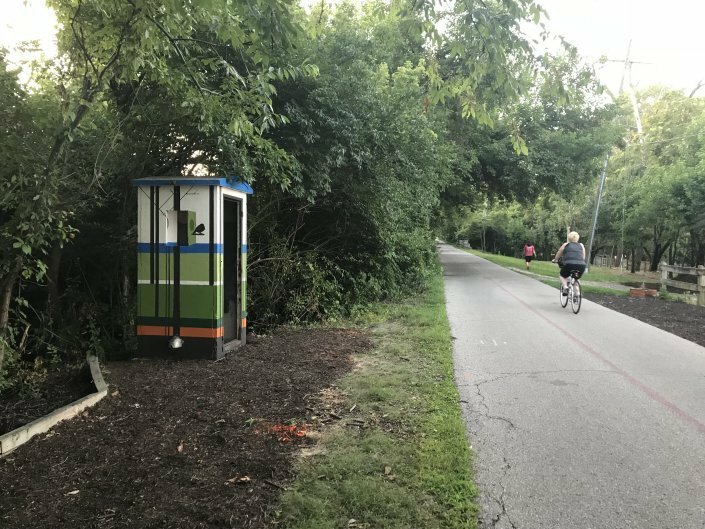 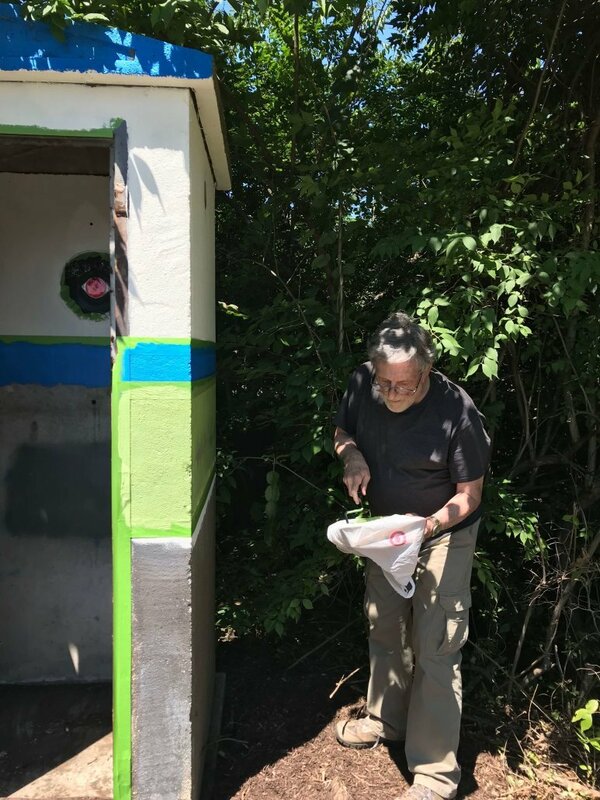 It’s the inaugural artwork this summer as the Nora Alliance Monon Trail Workgroup slowly develops Nora Corners Pocket Park for the community to enjoy.